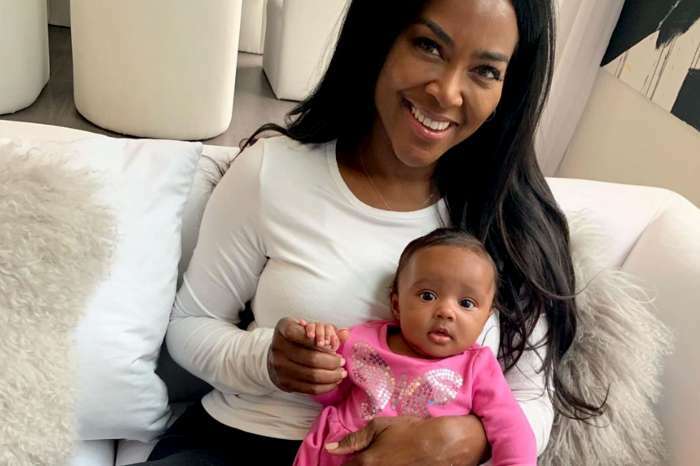 Kenya Moore just shared a clip of her two dogs and fans were excited. Unfortunately, from the video, we learned that one of the cute pups had a health issue, but now, it seems to be doing better, according to Kenya. Check these pooches out below in the clip that she shared on her Instagram account. ‘#king spent all day at the vet he’s okay but lifting both hind legs up in the air to walk, But he found time to kiss on twirl, so I guess he’s feeling a little better,’ Kenya captioned the cute video of the two dogs. Her fans and followers gushed over the small creatures, and some of them even related to Kenya’s story. ‘This happens in some small dogs. It happened to mine, and the vet showed us how to rub/pop it in place…very scary to witness this as a puppy parent ❤’ one of her followers wrote. #king spent all day at the vet he's okay but lifting both hind legs up in the air to walk ? But he found time to kiss on twirl so I guess he's feeling a little better ? ‘Hi, my dog needs to have the same surgery, but they want to do both back legs. What are your thoughts? How long did it take your dog to start feeling better? Please respond it would mean the world to me,’ another worried user asked Kenya for advice since the dogs have the same health issues. ‘@thekenyamoore my Yorkie Lucy has a luxating patella, and so do two of my other Chihuahua/Terrier mixes, and one of them did have the corrective surgery. It was a tough recovery, and it involved wearing the Cone of Shame, but it was worth it!’ another fan posted. ‘@thekenyamoore can we see the baby bump? Show them how classy women do it! I’m so happy for you&your husband #blacklove at its finest’ one commenter was curious about the pregnancy. Speaking of Kenya’s pregnancy, we’d also like to see her wear her baby bump with pride. Congratulations to both Kenya and her husband, Marc Daly!